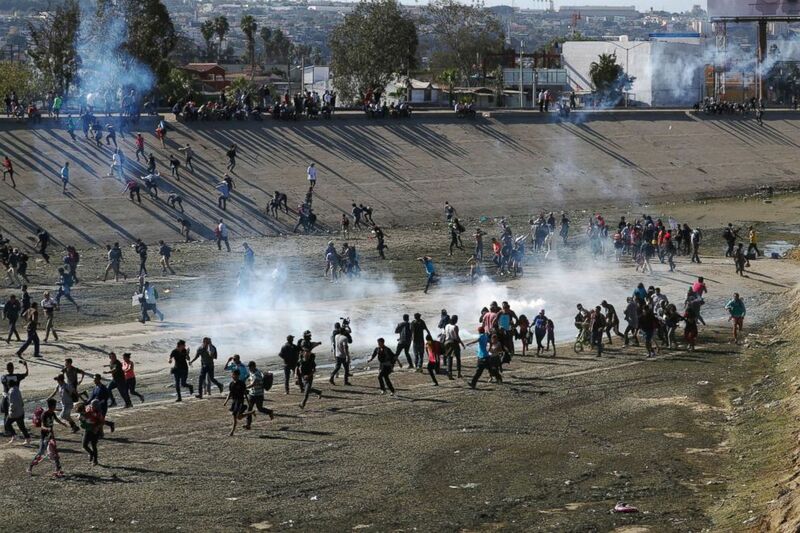 Tear gas was deployed on the migrants, according to Border Patrol. 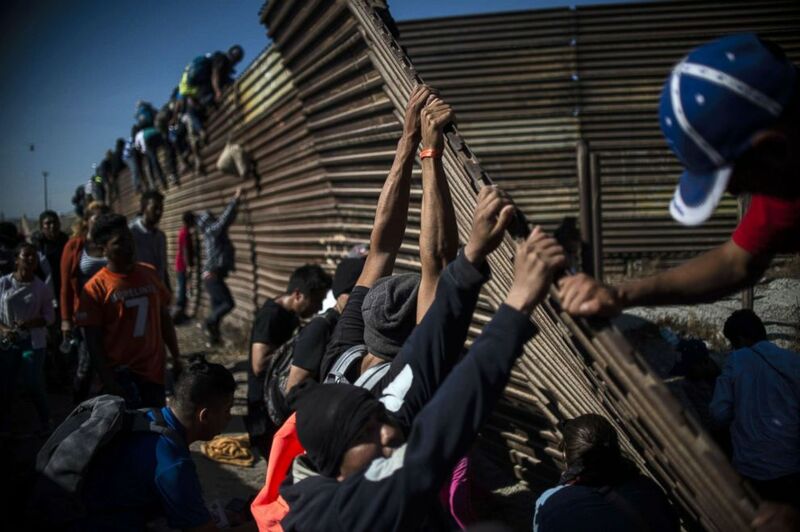 (Pedro Pardo/AFP/Getty Images) A group of Central American migrants climb the border fence between Mexico and the United States, near El Chaparral border crossing, in Tijuana, Mexico, Nov. 25, 2018. (Hannah McKay/Reuters) Migrants run from tear gas, thrown by the U.S border patrol, near the border fence between Mexico and the United States in Tijuana, Mexico, Nov. 25, 2018. 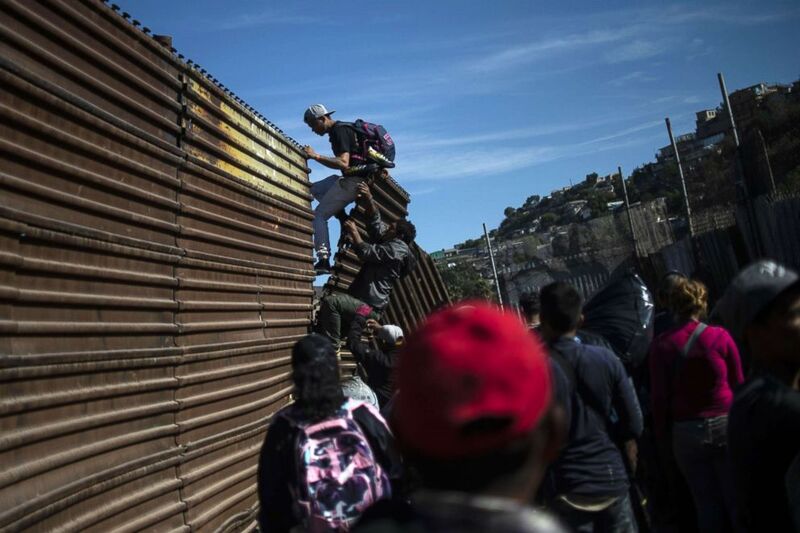 "After being prevented from entering the Port of Entry, some of these migrants attempted to breach legacy fence infrastructure along the border and sought to harm CBP personnel by throwing projectiles at them,” Nielsen said. "As I have continually stated, DHS will not tolerate this type of lawlessness and will not hesitate to shut down ports of entry for security and public safety reasons. We will also seek to prosecute to the fullest extent of the law anyone who destroys federal property, endangers our frontline operators, or violates our nation’s sovereignty."